Simon Parfey, Business Development Manager. On the 16th November I travelled to Belgium with friend and colleague Geoff Monck, to participate in delivering knowledge at a weekend workshop targeting compost tea and tree and soil health. 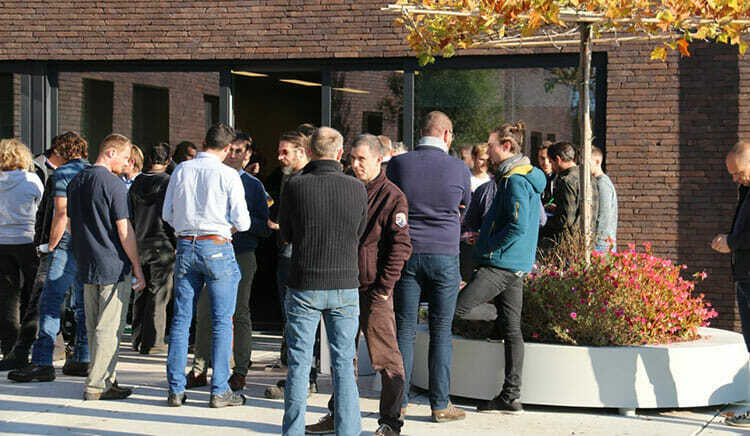 The event was a jointly hosted event between Proefcentrum Voor Sierteelt (PCS) and Bomen Beter Beheren held at a newly opened facility in Destelbergen, Flanders, Belgium – a specialist unit focusing on plant cultivation and research. 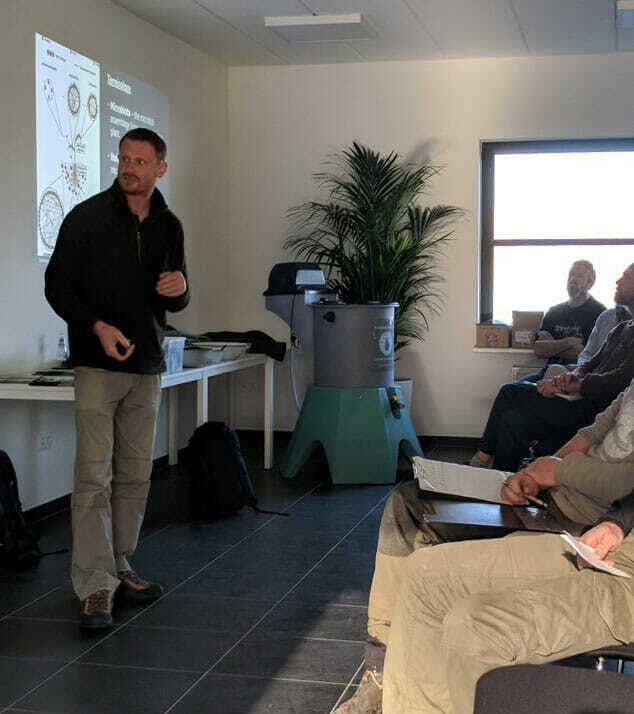 The workshop played host to a number of speakers from across Europe and included a range of subjects including recent trials on the use of compost tea on tomatoes and other crops, as well as how to make and apply the biologically active amendment to trees. The sessions began with my own presentations consisting of an introduction to the basics of soil microbiology and the science behind compost tea. This provided the perfect background for Geoff to discuss new theories about how trees appear to respond to compost tea – the result of our own method and evidence-based approach developed over the last 15 years (5 years theory and 10 years practical treatments) covering 12 projects. 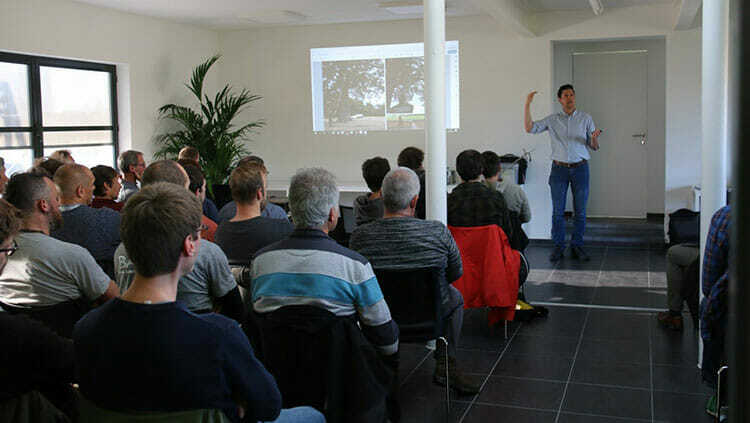 Geoff cited a number of tangible benefits of compost tea, including potential benefits in terms of controlling mildew. The presentation was incredibly well received with plenty of challenging questions resulting in lively and constructive discussion. The open debate provided additional context to the second half of morning sessions in which we delivered practical examples and preliminary conclusions on soil data collected over from the increasing number of soil and tree health projects that we are asked to manage on behalf of our clients who have real concerns for the health of their trees. It was a fascinating visit and excellent opportunity to meet our European colleagues and share the benefit of our knowledge and experiences of working in this pioneering area for trees. We were well looked after by our hosts and genuine pleasure to receive such a high level of engagement from so many professionals. I am sure that by working collaboratively with others in the sector, we will be able to achieve a higher level of standardisation for new methods and techniques which aim to provide counter measures to the ongoing threat to our bio-security and trees.